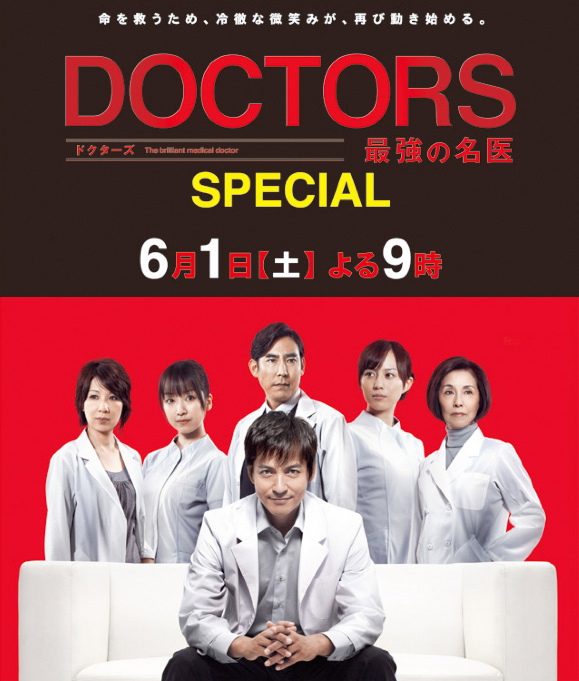 Cast: Sawamura Ikki, Takashima Masanobu, Higa Manami, Kurokawa Tomoka and Takizawa Saori. It’s been 1½ years since the ‘living liver donor transplant’, and the Dogami General Hospital has gotten a reputation-boost because of it. Patients have been flowing in, and the hospital has been busy. Dr. Moriyama (Takashima Masanobu) returns after being abroad for some time: he’s been practicing laparoscopy surgery, and has become quite good at it. Due to having returned and having done the ‘living liver donor transplant’, Professor Sengoku of Saito University Hospital has black listed Moriyama because he felt offended by it. This also leads to the spread of rumors, and unfortunately decreases of patients. Some days later, Yukimura Eriko comes to Dogami General Hospital in hopes of curing her cancer. Dr. Sagara (Sawamura Ikki) makes it his top priority to help her, which includes having Dr. Moriyama do the laparoscopy while doing his surgery. But after finding out that she was the former patient of Dr. Sengoku, Moriyama hesitates, because if he helps a patient Dr. Sengoku was unable to treat, he would offend him even more, and that would probably be the end of his career.. What is Dr. Sagara going to do? 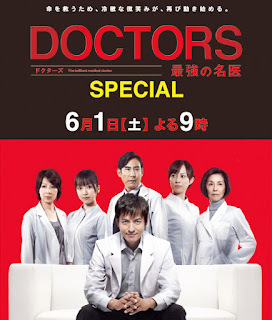 As a continuation of the series I was a bit expectant of the special (since the Japanese are really good at these specials), I unfortunately have to announce that this was not as good as the drama. It’s not bad as in acting and screenplay, it’s just that the storyline was a bit boring compared to the drama. I felt there was too much of administration/management and too little medical. Like if you do a medical drama, or special, it is supposed to be medical, not about the fight of who can become the next director or who is on whose side. Of course there can be a bit of it, but this special has about 10% medical - in the end and in the beginning. So you can say I am a bit disappointed. But the thing I liked was how in the special we find out about everyone around Sagara, and get to know them a bit better, rather than just Sagara. All in all, an okay special, though hoping for a better season 2.